Each treatment is tailored to your specific skin type and needs. 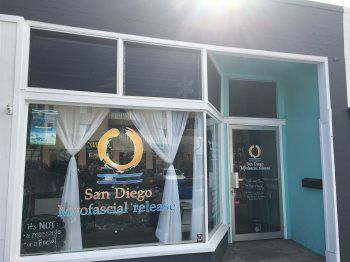 We offer a variety of spa therapy, advanced therapy, and clincial therapy treatments which will be recommended after a thorough skin anaylsis and health history. Custom facials are available upon request and at the discretion of the licensed Esthetician ($85+). Home care instructions and product purchase recommendations are often given to extend the benefit of your treatment. Experience Anti-Aging rejuvenation with this restorative facial that utilizes liposome-encapsulated fruit stem cells plus lactic acid to deliver a deep infusion of peptides and nourishing hydration. Get your complexion in touch with its inner porcelain. Best done in a series or as a monthly anti-aging maintenance program as cumulative collagen synthesis builds over time. This gentle hydrating facial helps smooth lines, wrinkles and uneven texture as it soothes and renews. The lactic acid and peptide peel -sweeping away dead skins cells that dull the complexion- offers efficient exfoliation. Your skin will be left feeling hydrated, nourished, and smooth as fine lines are diminished. This pampering treatment is ideal as monthly maintenance for any skin type craving comfort, restoration and hydration. Reveal your healthy glow with this highly effective yet gentle facial that offers a natural alternative to chemical peels. A blend of botanical enzymes dissolves pore-clogging debris while balancing, softening and purifying skin. Smoother texture, visibly diminished pores and refreshing non-comedogenic hydration complete the picture. This facial fights acne on two fronts. First by dissolving cellular debris and pore clogging sebum and then softening pore clogging congestion and killing acne bacteria. Ideal for sluggish non-sensitive skin that is unresponsive to topical regimens. Our strongest anti-acne facial doubles up on the exfoliation to rid skin of both acne and sun damage (age spots, wrinkles, uneven texture). Following advancecd enzyme technology with active salicylic acid this facial takes surface exfoliation to a new level (that is, a whole lot deeper). Sticky, hardened pore clogging oils, debris, and bacteria are swept away as unwanted pigment and textural irregularities are smoothed off this skin. Ideal for those with stubborn, non sensitive acne prone skin that is also sun damaged. This Vitamin C-fueled brightening facial helps fade age spots and smooth out rough thickened texture. Enzyme peeling brightens things up by removing dead, dull, discolored cells to uncover fresh new skin underneath. Skin emerges smooth and luminous. Best done in a series to combat fine lines, dark spots, and dehydration. Skin resurfacing TCA peel combined with the Vit A Micro peel. This extremely popular professional-strength peel is ideal for those who desire more aggressive resurfacing, lifting, smoothing and exfoliation. This incredible peel smoothes fine lines and wrinkles, firms and tightens, fades age spots and hyperpigmentation while enhancing glow. The remarkable results- and a significant fading of unwanted pigment - make the following week of light skin peeling well worth it. Although this is a deeper peel than glycolic, salicylic, or lactic peels, it is still considered a superficial peel. Home care products will be recommended to assist in the healing and rejuvenation process for optimal results. Photo damage, age spots and melasma are no match for this potent, clinical treatment to progressively fade hyperpigmentation. In addition to efficient exfoliation, it works to increase cell turnover (resulting in new, unpigmented skin cells coming to the surface) and stimulation of collagen production. *A series of 4 peels, performed every 2 weeks, will accelerate the fading of unwanted pigment. Nothing offers up more dramatic first-time results as a glycolic peel. When combined with the proper sun protection including antioxidants, Japanese green tea plus multi-vitamins that inhibit aging and free radical damage its a perfect summer or end of summer express peel combo! This peel will address dry patches, control sun damage and reduce acne. Microdermabrasion resurfaces the skin using a machine that sands the skin’s epidermal (outer) layer using a wand tipped with crushed diamonds which are then suctioned. 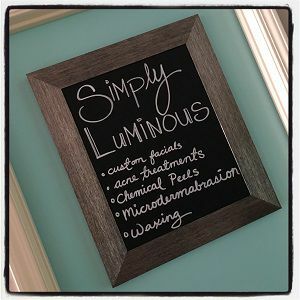 This skin refreshing technique can be very effective in improving skin texture, fine lines, acne scarring (and more) creating a fresh, glowing, rejuvenated look. A stand alone microdermabrasion treatment will include a cleanse, mosturizer and sunscreen. You can add Microdermabrasion for a discount, as an upgrade, to an already scheduled facial/skin treatment appointment. Simply let your esthetician know at the time of service. *Please note that not all clients are suitable candidates for this procedure. (For example very sensitive skin or severe acne).If that is the case we will find an alternate method for safe exfoliation. This gentle, yet effective eye smoothing and firming treatment results in smooth skin texture and increased firmness, elasticity, and hydration. Ideal as a stand alone or add on to other facial treatments. For a deeper clean and smoother skin ask about adding professional dermal cleansing technology with the HydraSonic during your next facial. *Tips are both accepted and highly appreciated. *We regret that we cannot perform waxing services on clients who are taking Accutane, Retin-A, or antibiotics due to the sensitivity these products cause to the skin. Please allow 24hrs before exposure to sun after your waxing service to prevent this sensitive skin from burning.